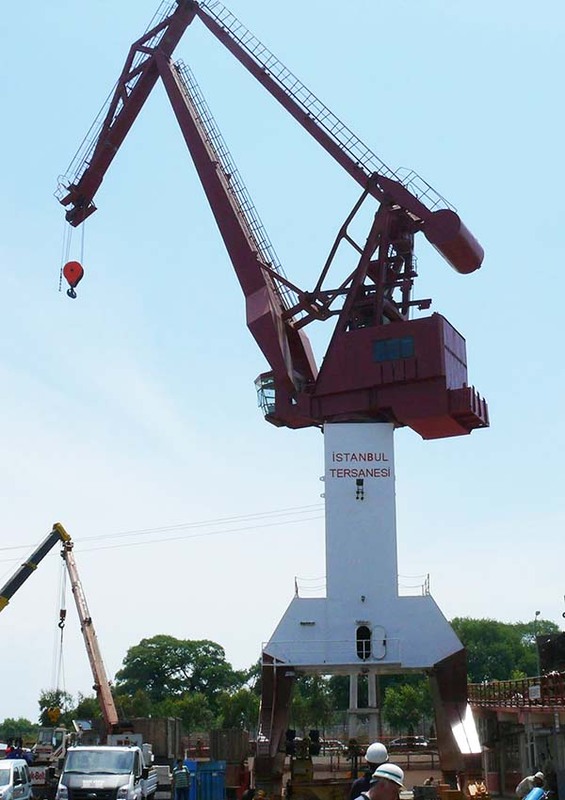 YMV Crane and Winch Systems design and manufacture heavy duty cranes for Shipyards. YMV Double Boom level-luffing cranes mechanism is: the hook remains at the same level whilst luffing; moving the jib up and down, so as to move the hook inwards and outwards relative to the base. This functionality reduces installation time in Shipyards, and loading time in Ports and thus improves operation efficiency and lower costs. YMV Double Boom Crane 360 degree rotates around the tower. Capacity range is between 20-100t, boom outreach distance is between 15 -50 meter.